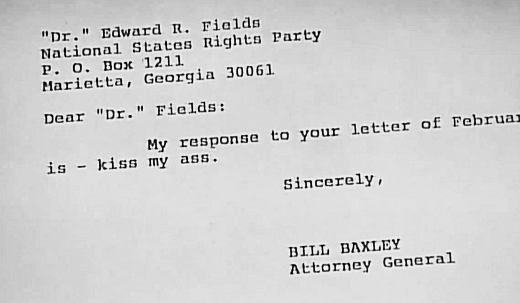 When Bill Baxley was 28 years old he upset the political establishment’s candidate and was elected as Alabama’s Democratic Attorney General in 1970. Shortly after his election he reopened the investigation into the bombing of the 16th Street Baptist Church, an act of domestic terrorism carried out by members of the KKK who murdered four young African-American girls. In this bombing, several Klansmen detonated over a dozen sticks of dynamite while churchgoers were preparing to hear a sermon on “a love that forgives,” and over 20 people were injured in addition to those slain. The attack occurred in 1963 and was one of the turning points that helped the Civil Rights Act gain support, although none of its perpetrators were brought to justice at the time. 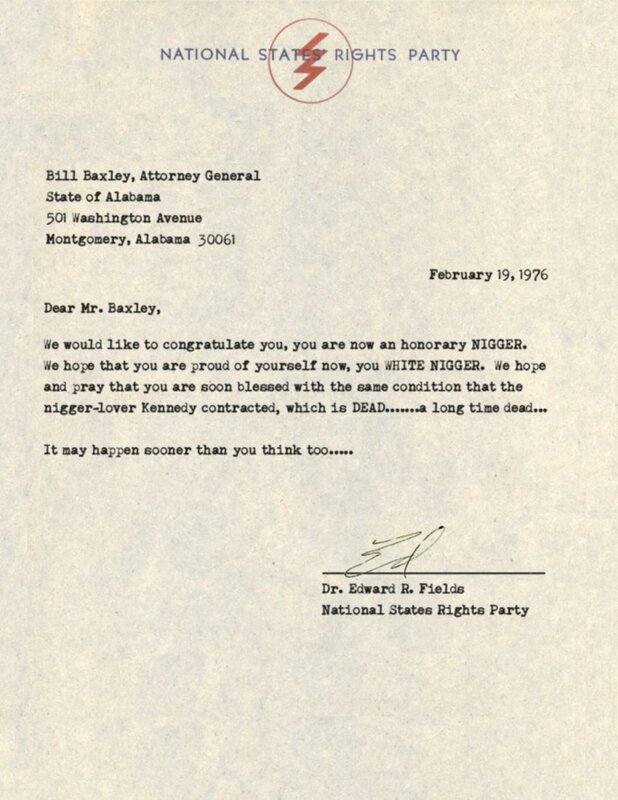 Despite the KKK’s efforts, Baxley reopened the case almost immediately and ultimately succeeded in doing “what few thought possible”: a lifetime sentencing for Klansman Robert Chambliss. Chambliss was a member of Fields’s New Order Knights and was convicted approximately a year after Baxley’s phenomenal response to Fields. Baxley’s 90 minute closing statement moved many in the jury and in the audience to tears, and local media at the time credited it with swinging the case decisively in his favor. So what happened to Baxley? He was first elected in 1970 in an upset election and he won reelection unopposed in 1974. During his time in office he appointed Alabama’s first African-American assistant attorney general who later became a federal judge. The bombing itself is back in the news because Doug Jones, the prosecuting attorney, secured a conviction of an additional Klansman, Thomas Edwin Blanton, in 2001 and Jones just became the Democratic nominee for the Alabama special Senate election. In 1978, Baxley ran for governor to succeed term-limited George Wallace, but lost in the primary to the ultimate winner, Fob James, who had just switched to the Democratic primary shortly before the race. 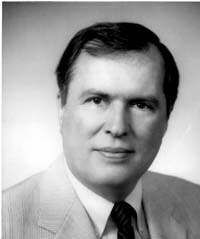 Baxley served as Alabama’s Lieutenant Governor from 1983-1987, when he ran for governor once again. Baxley lost the primary to the Attorney General, Charles Graddick, whose campaign allegedly recruited Republicans to cross over and vote for him in the primary. Baxley appealed the election results to the Alabama Supreme Court, which told the Democratic Party to either have an entirely new election or select Baxley as their candidate. They opted to forego another primary and nominated Baxley. However, Alabama voters took their frustrations out on this decision against Baxley and voted for Republican Guy Hunt (who lost to Fob James, who was elected governor again in 1994 as a Republican! ), making him the first Republican Governor of Alabama since Reconstruction. All in all, Baxley knew not only how to tell the KKK off, but to put its members behind bars. For more Profiles in History, on the Billy Possum, Sean Spicer as the Easter Bunny, presidents losing their home states to the story behind Hacksaw Ridge, political video games, Greece’s Brexit over 2,000 year ago, the Battle of the Cats, America’s first Donald Trump, and more, check out the rest of my Profiles in History here!